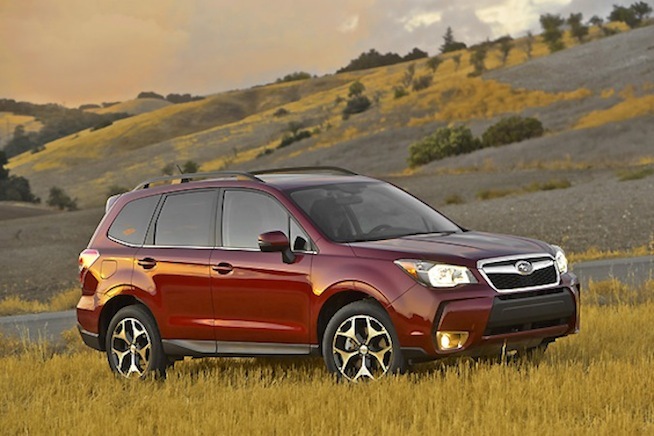 The 2014 Subaru Forester has helped the brand do it again and Subaru has reported the best sales month in company history. It seems like every month we report that Subaru has had another record sales month. And it’s happened again for the Japanese automaker. It isn’t really a surprise, but the all-new 2014 Forester is a big part at driving the sales success Subaru is experiencing. The new SUV is selling extremely well here in the U.S. which is Subaru’s largest market in the world. Subaru of America reports sales for the all-new 2014 Forester at 10,620 units, a 75 percent increase over September 2012 and a year-to-date increase of 49 percent. Buyers are impressed with the new crossovers styling and amenities. The new Forester is selling well with loyal customers, but it’s also attracting new buyers to the brand at a staggering rate. Significant to the Japanese automakers success this year, is more than half of their sales are to people new to Subaru. This is an incredible achievement and is driving the brands success here in the U.S. The company is on track to achieve its fifth-consecutive year of sales increases. The brand is defying the odds and growing faster than company execs imagined. And the companies sales could increase even more now, because of a recent safety test released by the IIHS. Legacy sedan and Outback crossover were recently rated as “superior” in the new Insurance Institute for Highway Safety (IIHS) Front Crash Prevention (FCP) test program. Subaru rated better than any other manufacturer and beat Mercedes and Volvo. The all-new 2014 Subaru Forester can also be ordered with the new EyeSight safety system and many buyers are opting to get the new system on the crossover. Subaru is a brand to keep your eye on as they continue to build quality cars that both loyal customers and new buyers are flocking to. But it shouldn’t be a surprise, they’ve been doing it for years. Stay tuned to Torque News for all the latest Subaru news.